Dubai, UAE, May 10, 2018: As the curtains are drawn on the holy month of Ramadan, the new moon brings with it a spell of celebration, generous hospitality and prosperity. It is also that time of the year around which the gift giving begins! A handpicked EID gift guide comprising of the finest timepieces and accessories from brands like AIGNER, CERRUTI 1881 and POLICE makes its way into your hands. Adhering to different tastes and budgets, you are sure to find something for everyone in the list organized under ‘for him’ and ‘for her’. 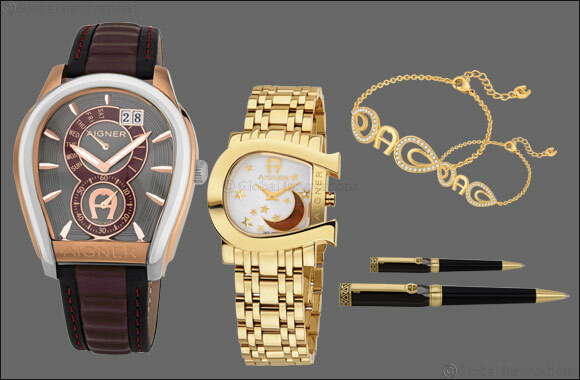 Festive and chic, the timepieces and accessories are perfect to surprise your loved ones this Eid!